Melia Robinson/BIJoe Guastavino, co-owner of Pier 76 Italian Restaurant, eats a slice of his pizzeria’s cheese pie. Folded in half? ‘Obviously,’ he says. Last year, Business Insider surveyed local readers to find out how they feel about other New Yorkers. Staten Island took a beating in the polls. Named New Yorkers’ least favourite part of the city (despite being the third largest borough), it scored big in the following categories: worst food, least attractive people, and most aggravating to travel to for a party. 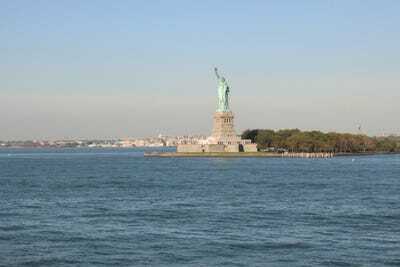 Thirty-four per cent of participants said they would sell Staten Island to New Jersey. Needless to say, Staten Island gets a bad rap. And yet, families have chosen to live in New York’s “forgotten borough” for generations and generations. Rent.com named it the second best area in America for couples. 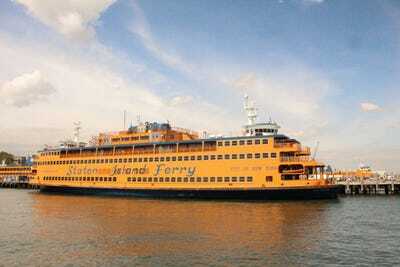 If Staten Islanders love Staten Island, why shouldn’t any other New Yorker? 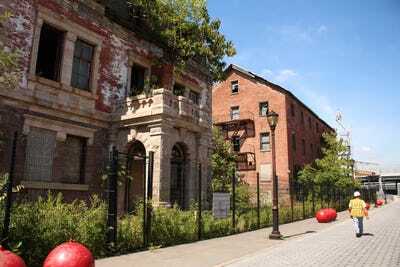 We recently spent the day there to uncover the borough’s hidden gems. While we weren’t quite convinced to pack up and move there, it’s a fantastic place to spend a day. 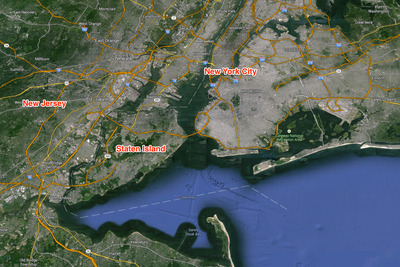 Staten Island has a less than stellar reputation, especially among its cosmopolitan neighbours. From the garbage dumps to the lack of public transportation, it's easy to forget all the great things the Island has to offer. Even New Jerseyans wouldn't take the borough if it were offered to them. The white dotted line indicates the New York/New Jersey border. But on a recent day trip to the island, I was blown away by the variety of activities located within a 20-minute drive of the ferry station. Any outdoorsperson, sports fan, pizza lover, or history buff will find something worthwhile. For starters, the Staten Island Ferry runs for free between lower Manhattan and Staten Island's North Shore, sells beer on board, and offers the best view of the Statue of Liberty, Ellis Island, and at least three bridges on a clear day. The ferry drops you at St. George, a cultural mecca of sorts. 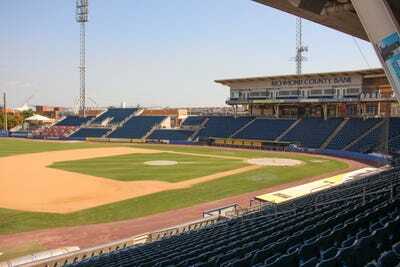 Within a 5-minute walk of the station, you can catch a Staten Island Yankees game at Richmond County Bank Ballpark. The parking lots on both sides of the ballpark will be transformed in the next few years. 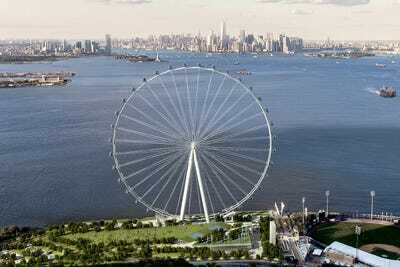 This rendering shows the 60-story observational wheel (a larger-than-life Ferris wheel that will accommodate up to 1,440 people per ride) planned for development in early 2015. 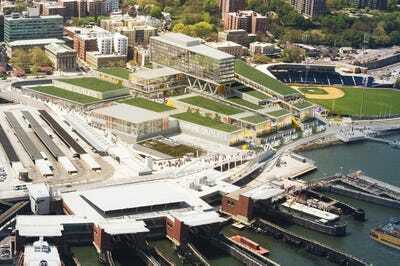 And to the right of the ballpark, New York City's first and only outlet mall will cover 350,000 square feet of retail space and feature 125 designer outlet stores. This rendering shows that the mall, too, will have excellent skyline views. 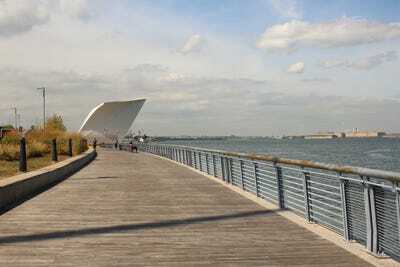 All three sites will lie along the North Shore Esplanade, a walking path that offers panoramic views of lower Manhattan and access to New York City's earliest 9/11 memorial. Entitled 'Postcards,' the memorial features two fibreglass structures resembling postcards. 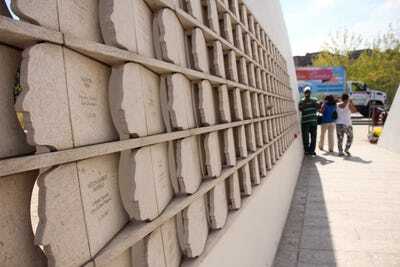 It honours the 275 Staten Islanders who lost their lives on September 11, 2001, with a profile on a granite plaque listing their name, birth date, and place of work at the time of the attack. 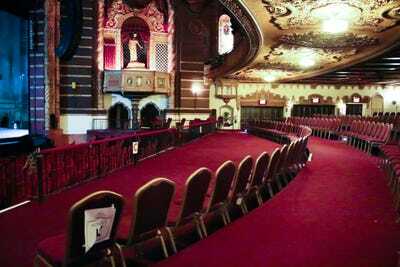 The neighbourhood is also home to the historic St. George Theatre, a movie and vaudeville house built in 1928. This season, the theatre will host Bob Sa get, Amy Schumer, Tony Bennett, and local theatre companies' holiday productions. 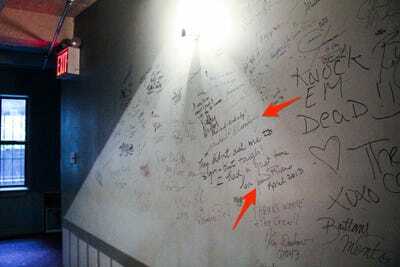 Performers sign the backstage walls of the St. George Theatre, including former Mayor of New York City Michael Bloomberg and the late comedienne Joan Rivers. Down the street, the old Lighthouse Depot served as the national center of operation for the U.S. Lighthouse Services from 1863 to 1966, and is the future home of the National Lighthouse Museum. 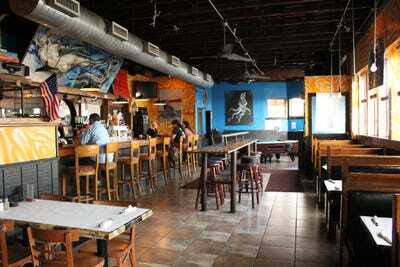 Its crusty exterior and plant overgrowth make it a spooky destination worth checking out. The area offers tons of mum and pop restaurants, and unsurprisingly, Italian food is in no short supply. Pier 76 Italian Restaurant on Bay Street is a part-bar, part-sit-down-restaurant, part-pizzeria famous for its thin-slice, heavily-sauced pies. 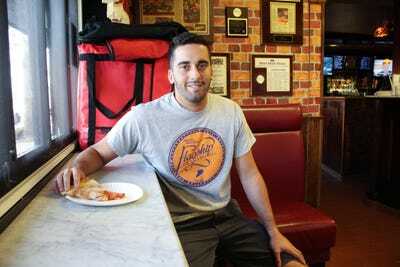 Most days of the week, co-owner Joe Guastavino can be found by the counter eating a cheese slice -- folded in half, obviously -- and greeting customers by name. And see that logo on his t-shirt? It's the logo of Flagship Brewing Company, Staten Island's first ever craft brewery. 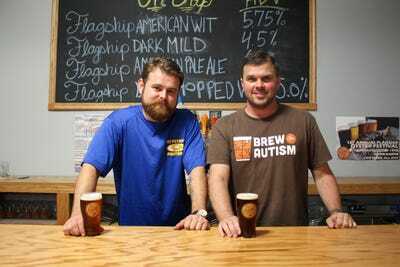 Three islanders who grew up together founded it in 2013, under the motto 'unforgettable beer in the forgotten borough.' 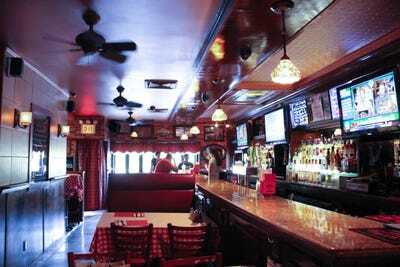 You can find their APA, American Wit, and Dark Mild on tap throughout New York City and at the brewery's tasting room. Co-founders Jay Sykes and Matt McGinley. The cofounders tell me there's a slew of small business owners, born and raised on the island, who opened companies here because they want to give back to the community. Flagship cofounder Jay Sykes even has the Staten Island Ferry tattooed on his arm. Others are bringing tastes of home to the island. 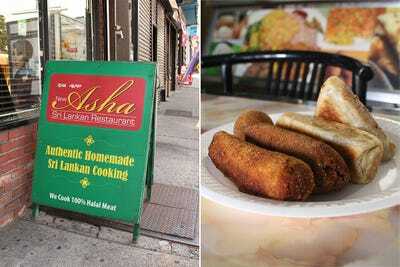 For 15 years, the no-frills hole-in-the-wall New Asha Café has been serving mutton curry, vegetable roti, fish buns, and other Sri Lankan delicacies to Staten Island's thriving immigrant enclave. A visit to Snug Harbour Cultural Center & Botanical Garden is an absolute must. Take a stroll by the property's 26 historic buildings, nine botanical gardens, urban farm, and 10 acres of wetlands. 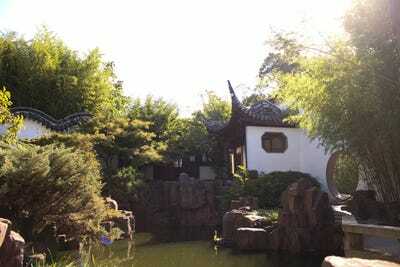 Snug Harbour's crown jewel is the New York Chinese Scholar's Garden, modelled on the Ming Dynasty Gardens first built in the fourteenth century. In the 1990s, a team of 40 Chinese artists and craftsmen spent a year in China creating the garden's rock and architectural components and another six months in Staten Island bringing it to life. 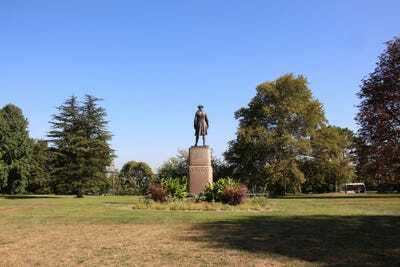 One of the oldest military installations in the nation, Ford Wadsworth served as a primary defensive location for the British during the Revolutionary War, and saw action in the War of 1812, Civil War, and World War II. The grounds are open from dusk to dawn and admission is free. 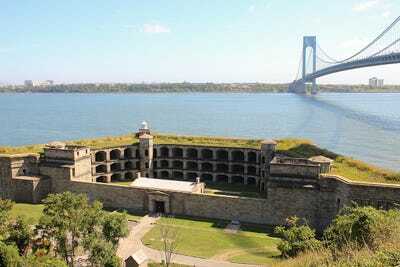 You'll notice while cruising the island that it's by far the greenest borough. 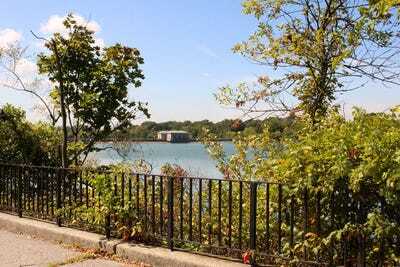 Staten Island is home to over 170 parks, including the pristine Silver Lake Park. Created in response to Manhattan's Central Park and Brooklyn's Prospect Park, it offers biking and walking paths, tennis courts, an 18-hole golf course, and a bridge that's ideal for a picnic. The views are spectacular, too. Todt Hill in Staten Island is the highest natural point on the Eastern Seaboard south of Maine. 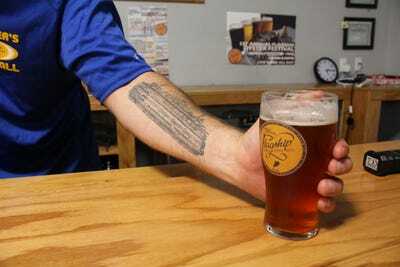 As you leave the interior of the island and head back to the ferry station, grab a bite to eat and a pint of Flagship's seasonal brew at 120 Bay Cafe, formally known as The Cargo. The revamped bistro's live music, surreal art installations by SI native Scott Lobaido, and eclectic crowd combine for a rather unusual happy hour. The day ends with a sunset cruise back to Manhattan aboard the Staten Island Ferry. You won't find views like this anywhere else. 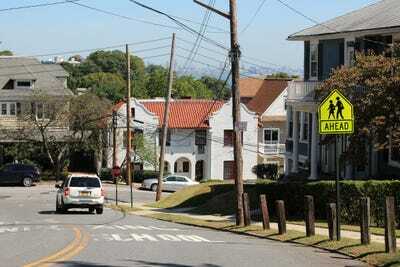 Check out Staten Island's neighbour, Bay Ridge.